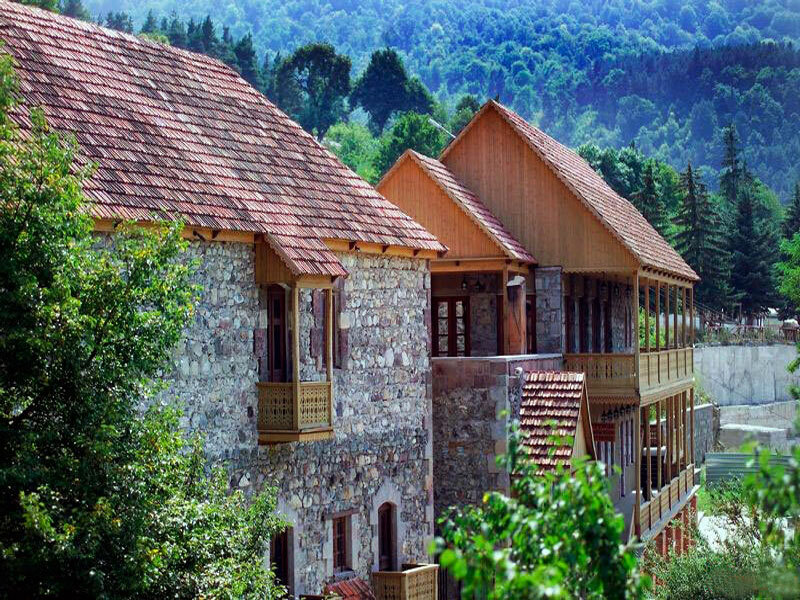 Dilijan is a popular mountain and spa resort in Armenia. 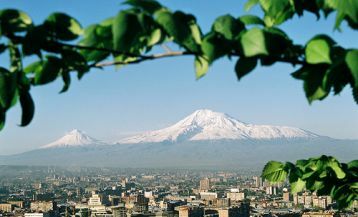 It is situated in the beautiful covered with forests Agstev Valley, 106 km north-east from Yerevan. Amazing nature, healthy, full of pine aroma air, mineral waters make this resort very popular among both local people and tourists. The territory of Dilijan is surrounded by Dilijan National Reserve, most of which consists of coniferous forests. That is the reason why the air in the town has such beneficial effect on human health, especially on lungs. People come here not only for a rest but also to improve their health. However, not only the climate makes this city a healing spa resort. There are lots of mineral springs here, which due to their therapeutic composition are good for human health. Dilijan is located in the middle lane of mountain forest zone, that’s why the climate here is warm, soft and moist. Summers are mild and moderate, with an average temperature +20 °C. Winters are sunny and dry, with an average temperature – 0 / -2 °C. As mentioned above, the city is located on the territory of Dilijan National Reserve, which was created to protect the oak and pine forests, and mountain lakes. 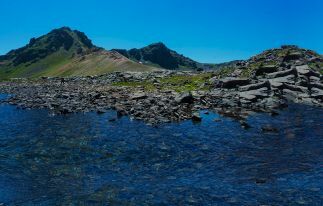 Within the reserve one of the most beautiful lakes in Armenia is located – Parz Lake (Crystal Lake). Near the lake, you can see cosy Finnish houses for the rest as well as a boat station. The area around the lake is considered an excellent place for excursions, camping and picnics. There is a beautiful forest path that departs from the lake and leads to Gosh village, where famous Goshavank monastery is located. This scenic route is only 8 km away and is very popular among hiking lovers. Goshavank monastery was built in the 12th century. An outstanding Armenian scholar and social activist Gosh participated in its construction, and the monastery was called after his name. 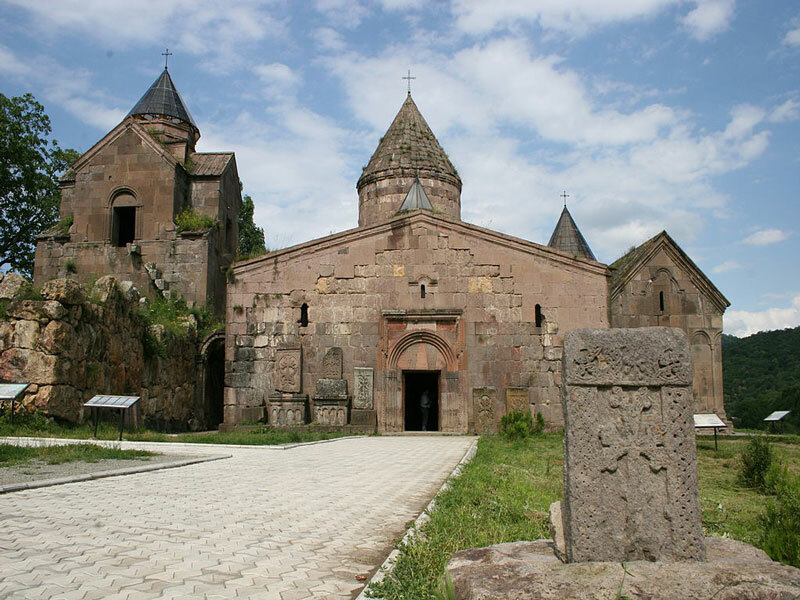 Numerous Armenian khachkars (Armenian architectural monuments) are preserved on the territory of the monastery. 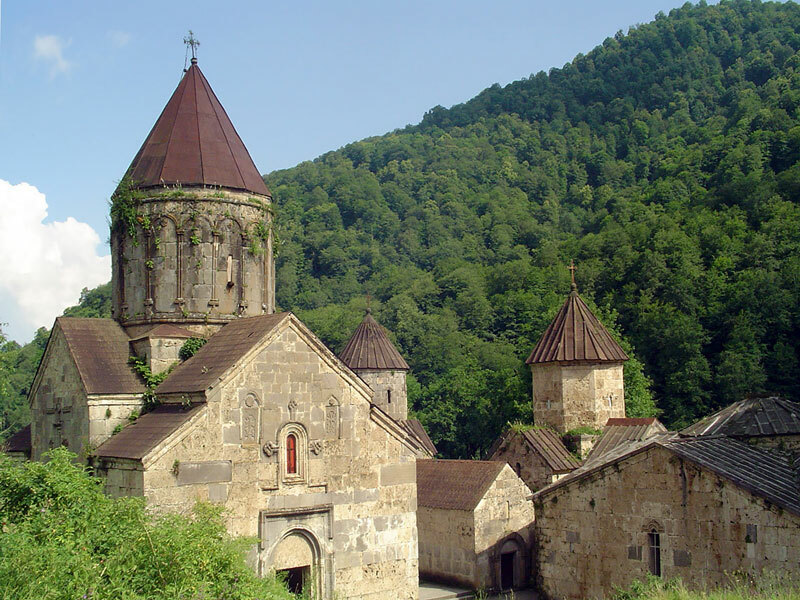 To the north-east of Dilijan monastery, complex Haghartsin is located. It is considered one of the most fascinating and mysterious places of Armenia. The complex includes the Church of St. Gregory, St. Astvatsatsin, St. Stephanos, Chapel of the 13 century, the tomb of the royal family Bagratids, refectory and various rooms for monastic services built in the 12-13 centuries. You can also visit Juxtakvank and Matosavank monasteries that are located in the distance of 3 km from the town. 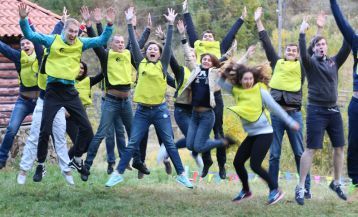 The territory of Dilijan Reserve is a favorite destination for hikers. Below we present the most popular hiking routes. Dilijan- Matosavank. The route from Dilijan to the Matosavank monastery is 3 km away and will take you about 30 minutes to walk. The monastery is located deep in a wooded area and is surrounded by cross-stones. From Matosavank you can walk to the Jukhtak monastery, which is located nearby. The Haghartsin Monastry-Shamakhyan village. Beginning at Haghartsin Monastery, this hike will take you along footpaths used for centuries by shepherds and woodsmen. The path will lead you through the woods, and after a while you will see the magnificent view of the village Shamakhyan and the surrounding neighborhood. This route takes about 10 km. Lake Parz- Goshavanq. This route starts at Lake Parz. From here you will walk along a scenic path through the lush and dense forests to the village Gosh, where the famous medieval monastery Goshavank is located. This scenic route is only 8 km away and is very popular among hiking tourists. Dilijan-Ttu Jur-Lake Parz. 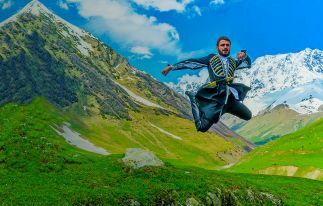 It is a picturesque and varied route which will lead you through the hills, pastures, forests and meadows covered with flowers. On the way, you will pass by the natural mineral spring Ttu Jur. The journey takes about 10 km. Hotel “Dilijan Resort” (4 *) is located on Getapnya Street and offers various comfortable rooms, made in classic style. The hotel has a spa, gym, tennis and billiard. Those who wish can also sign up for various beauty treatments. Internet is available throughout the hotel free of charge. Hotel “Best Western Paradise” (4 *) is located in the picturesque place of Dilijan National Park. This complex has a developed infrastructure and offers a wide range of services. 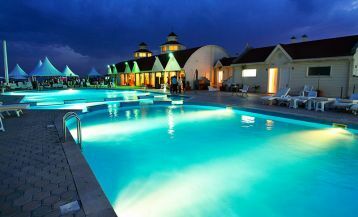 It offers a meeting room, fitness center, lobby, winter garden, summer terrace, swimming pool, sauna, and free internet. Hotel “Casanova” (3 *) is located on Hovsepian Street, in a quiet place surrounded by nature. It offers a sauna, gym, playground, indoor swimming pool, snack bar and free Wi-Fi. Dilijan Reserve is located at a distance of 7 km from the hotel. 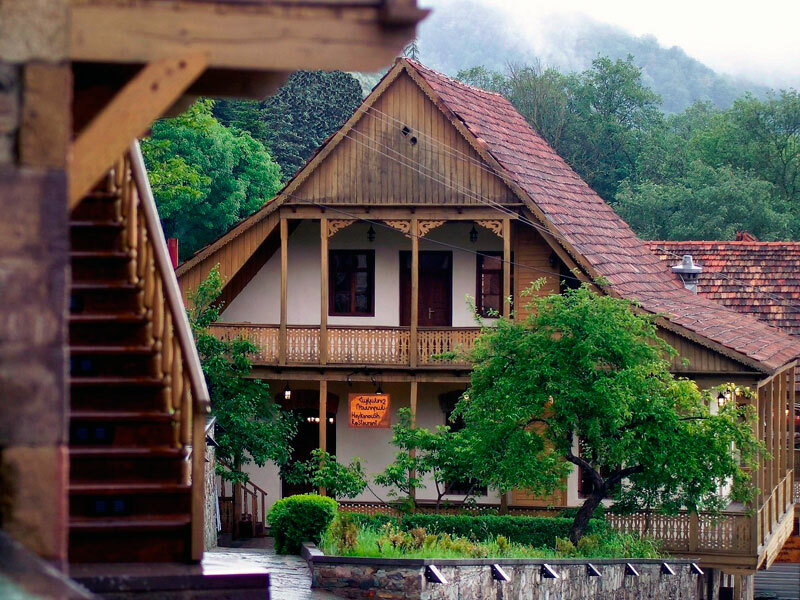 Hotel “Tufenkian Old Dilijan” (3 *) is located on Sharambeyan Street and has high rates among the clients. The hotel is decorated with natural stone and wood, and the rooms are typical for the 19th-century style. In the rooms, you will find handmade wooden furniture and antique wardrobes and carpets. The restaurant “Haykanush” serves delicious national dishes. According to archaeological researches, this area has become populated since the Late Bronze Age. The city produces mineral water “Dilijan”, which is known not only in Armenia, but also abroad. In 2011, a monument to famous “Mimino” soviet film heroes was set in Dilijan. The area of Dilijan reserve is 24 232 hectares. 102 species of trees, 35 species of mammals and 120 species of birds are protected there.